Year 8 STEM Visit – 17th March! 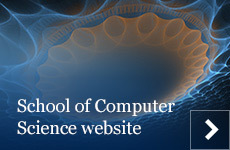 Year 8 STEM students from Henley High School will be visiting the School of Computer Science on the 17th of March 2015. They will get a flavour of visual programming. Our lecturer Lina Yao will help the students to build cool animations using the tool Scratch. Comments Off on Year 8 STEM Visit – 17th March!